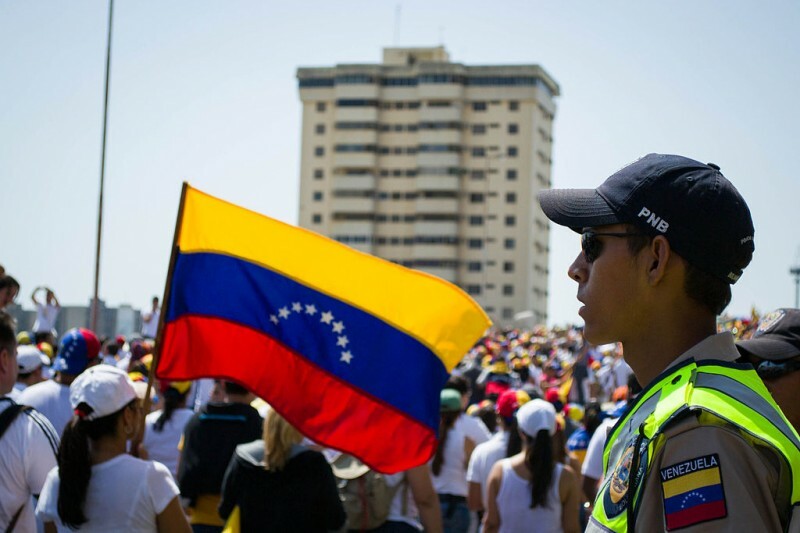 Over the last three weeks, several Twitter users have been detained by Venezuelan authorities for making online comments that police allege tie them to the murder of 27-year-old Socialist Party deputy Robert Serra, who was stabbed to death in his home on Oct. 1, 2014. Serra's assassination shook the country's increasingly embattled political leadership and further stoked the already-high tensions between authorities and opposition party members. Although two men, both reportedly Serra's bodyguards, have been detained as suspects in his killing, numerous other citizens have been detained in connection with the incident. At least two individuals were detained in connection with the @Hiipolita Twitter account, where an alleged fortune teller foresaw “mourning” in the National Assembly. La Asamblea Nacional estará de LUTO! The National Assembly will be in MOURNING! Although the account has been silent since Oct. 14, its more recent tweets included concerns about economic and social conditions in the country, numerous retweets of opposition political leaders such as Leopoldo López and Henrique Capriles, and general predictions of hard times ahead. On October 14, Ginette Hernández, community manager at the television channel E! Entertainment Television, and her uncle Lessy Hernańdez were detained in connection with the @Hiipolita account. Daniely Benítez (@pretinha76), a flutist with the Caracas Marching Band and vocalist of Brazilian music group Só Sambistas, was detained, also in connection with @Hiipolita. Benítez stands accused by Diosdado Cabello, president of the National Assembly and a steadfast Chavez supporter. She has since been released and her detention declared wrongful. On Oct. 7, Scientist Inés Margarita González was detained and charged with inciting crime via messages published on her account regarding her opinion on the death of Serra. She has been incommunicado since her arrest. On Oct. 8, Abrahan David Muñoz (@abrahamdz) was arrested and detained. He faces the same charges as González, also concerning his comments regarding Serra’s death. Muñoz was taken to the intelligence headquarters (SEBIN) in Caracas, but was later released on probation. On Oct. 13, Víctor Ugas was detained for spreading pictures of Robert Sierra’s body, allegedly taken at the morgue. Ugas is being charged with improper disclosure of data and espionage. Global Voices Advocacy obtained information about these detentions through local sources in Venezuela. Unfortunately, there is little more information about these individuals that can be confirmed at this time. Given the risk of speculating or publishing unconfirmed information about the fate of the detainees, we have chosen simply to report what we know. Since the adoption of the Law on Social Responsibility in Radio, Television and Electronic Media, CONATEL (an administrative body, dependent on the President) has had the power to block web content without trial. Though the Venezuelan government has been prone to detaining social media users in the past, it seems that their policies have tightened over the last year, with the wave of blockades in relation to the black market dollar, and filtering measures taken this year at the height of the student protests.